Innovative techniques across the web - nexxar lab. Current innovations across the web. A very popular trend at the moment is the use of carefully edited video on the homepage to immediately tell a story or sell a company message, ProSieben uses this idea to great effect. This is a very effective attention grabber that is just starting to have other potential implications. Take the Nike example; this concept focuses on the user deciding what happens next in the video, which is an exciting prospect as we are seeing an increase in user-based experiences. What if you could tailor a CEO message to see and hear what matters to you? We all agree there will always be a trade-off between user centric content driven reporting and the wow effect of a full screen video that can easily get a message across very quickly, but in the end its potential is undeniable. With the advent of technologies such as HTML 5 video and increased browser support, many of the challenges of video integration on the Internet have been improved. However, loading times for more labour intensive video will always rely on the connection speed, so smarter methods, such as partial loading are a must. Another thing to consider is the time and budget needed to pull off such an idea. In many cases companies have stock footage that could be edited to tell a short story, however, specific concept driven ideas would need a close working relationship with the client / external agencies and enough lead time to get the best results. We have also noticed in almost all cases that a moving video becomes a static image on the mobile device, this is due to a number of reasons, some being aesthetic and others are technical, but we still feel with certain concepts the use of video on a mobile device could be exploited to greater effect. 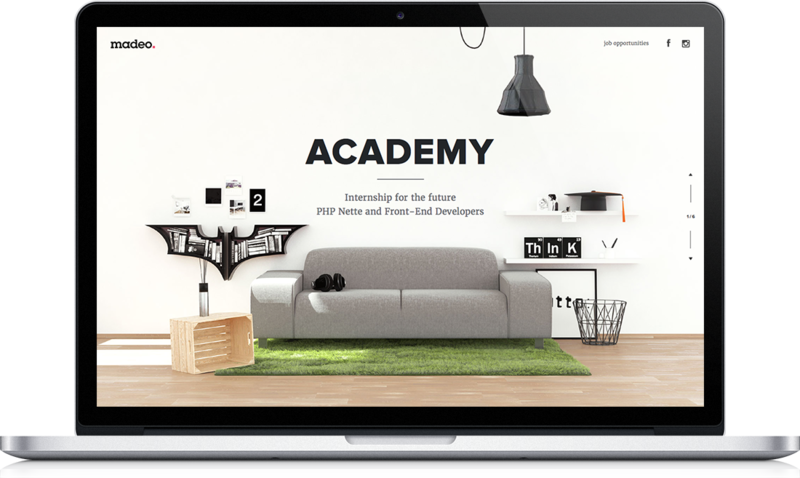 Another very useful way to get a company message across is the use of animated illustration. 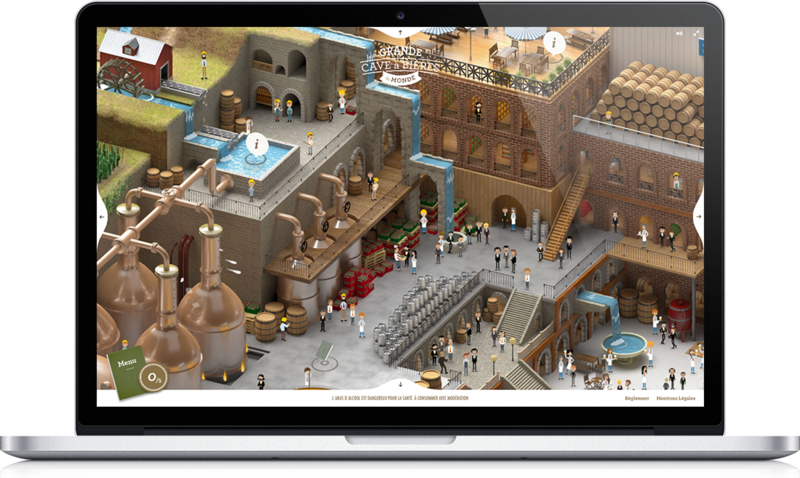 A great example is the La plus GRANDE cave à bière du monde, which lets the user pan across the animation and click on specific areas. We see this working for lots of companies, especially those that have a complex process to explain. A notable mention is the use of pure coded animation, which is becoming more and more advanced: Species in pieces. The morphing of one object into another is very appealing. To make content more engaging, scroll effects are taking off in a big way – whether it be an animated info box or a more advanced storyboard of actions, it clearly helps to keep the user scrolling. Take the madeo example – it shows a variety of effects that work purely on scroll. A thing to note is the frequency and the type of effect used. The nexxar opinion is that it should only be used in moderation and not throughout an entire report. The best use of these scroll effects would currently be in a ‘fast read’ for example, where short impactful visual overviews are used. This effect is popping up in various forms across the web and is linked to a new form of interactivity, which could be classed as ‘living content’, as the user moves the cursor around, the background or certain elements track the movement in a three dimensional fashion. 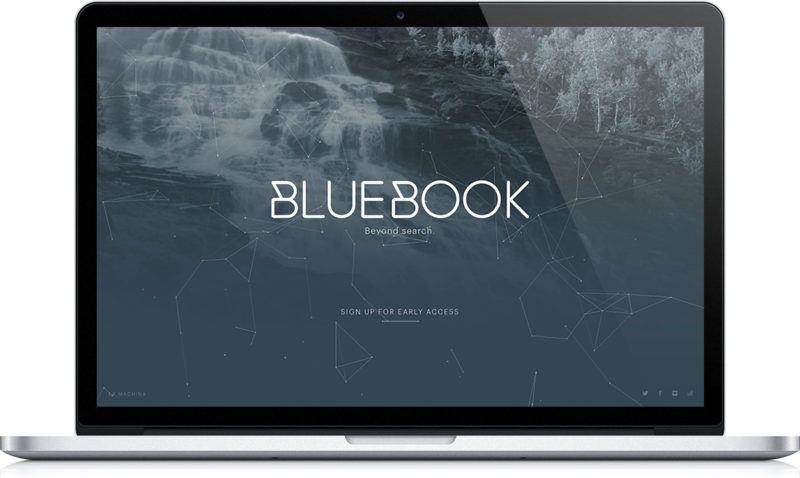 Bluebook is a nice example as it also animates on page load.